I don’t find it so odd that Patrick is reluctant to run and tell Sam “the love of your life is alive”! He has no proof. He hasn’t seen Jason so how does he know this isn’t just another evil Cassadine trick? He doesn’t want to get her hope up until there is more concrete proof. Seriously, GH is insulting and plot driven in so many other more blatant ways eg,Obrecht as COS is ludicrous, I haven’t been able to watch this show without yelling “oh my goodness. That’s so stupid!”. And Ron Carlivati is so smug in interviews, I’m not watching GH much anymore. I don’t need to have my intelligence insulted on a daily basis. Seriously, Tracy has no clue that Luke is an imposter? Sure. Franco is all cured because of a brain tumor? Yeah, that is so believable. Robin leaves her husband and daughter after a year in captivity, that makes sense-Not. GH is the last soap I still watch and now that I have Amazon Prime for entertainment, I don’t need no damn soaps. 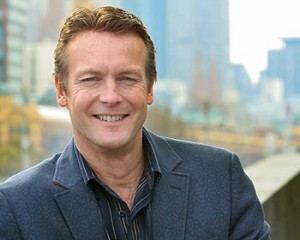 I feel so sorry for the always-thrilling Doug Davidson. Paul deserves so much better. Even the son he shot and murdered was far more charismatic and interesting. There is so little suspense in the Paul-Dylan medical drama, I want to tell Nikki and Avery to stop their sobbing and dry their eyes ’cause nobody is gonna die. But I want to know why smart people like Jill Farren Phelps and her writers have gone down this path. It’s old-hat. It’s predictable. It’s BORING. After so many years of soap opera (daytime and prime-time) behind us, it must be difficult to find new ways to entertain — not to mention grab and keep — viewers. But these tired retreads of stories that have been done sooooo many times just won’t do it. With countless other, fresher, smarter entertainment alternatives to lure me away, who could blame me for leaving Y&R (all of daytime, really) for good? I agree with Jonie, why would Patrick tell Sam that Jason might be alive since there is no proof? Why get her hopes up? In fact, if I remember correctly, Patrick did think about telling her but decided against it. Patrick also has never had much love for Jason anyway. And also he’s not exactly speaking to Robin at the moment since she refused to come home after Gabriel was born. Of all the nice looking guys out there with acting experience The first replacement of Billy Abbot was too young and did’t know how to act. The next one is even worse. He is too old and not even attractive! Could we get the original Billy Abbot.please.. I m just SO BORED with this show. Molly jumps in the car with a druggie, think Jason jumps in car with drunken AJ ??? Re-Ron does it again. Is that man EVER going to think for himself ?Everything he writes is on YT with different actors. Will it be the same tree that takes Molly out. Will she have no memory, will she become a hit man teen ? Join Shawn? Poor Rafe he lost all around. His mother runs from the vampire, said vampire kills mom, Identical twin becomes guardian and everyone forgets he is alive. If I lived with that family, I would take drugs also. Then he gets the uncles wife from hell ,and he loses. Now he ran over the car with doctor and baby doll dies. So he has another nail in his coffin.No friends no life, the only person who had a kind word for him likes another guy, one who calls him names said character has no room to talk his mom was in jail for said drugs, and his foster father is a killer hit man or, would be if he could hit the broad side of a barn. Now we are getting Jason back?? ?No thanks stick a fork in me, I ‘m done.! Maybe Rafe is responsible for global warming also.